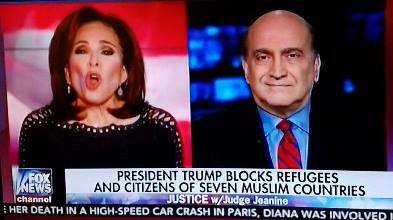 World Council for the Cedars Revolution - Phares to Judge Jeanine: "Trump's executive order is about geopolitics not religion"
Home News Content Blog Blog Items Analysis Phares to Judge Jeanine: "Trump's executive order is about geopolitics not religion"
In an interview with Judge Jeanine on Fox News, Dr Walid Phares said "President Trump's executive order is part of a new policy, a start not a single step, to address geopolitical challenges in the region. It is not about religion, it doesn't mention religion, it focuses on threats and announces measures." 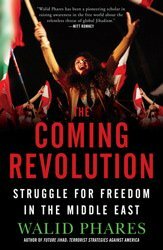 Phares added: "Trump is communicating with the President of Egypt, the leader of the UAE and the King of Saudi Arabia. As far as I know these leaders are not Catholics..."